One of the most common type of pain usually associated with pregnancy is back pain. It is not unusual for the expectant mother to begin experiencing pregnancy back pain during the start of the second stage of pregnancy. This could well be attributed to the fact that your baby is growing. The precise location being at the junction where the pelvis meets the spine and is better connoted as the sacroiliac joint in medical terminology. Statistics indicate that during pregnancy the woman invariably gains 25 to 35 pounds of weight which is predominantly due to the weight of the growing baby. The growing baby and the uterus exert pressure on the spine and thus lead to onset of pains in pregnancy such as pregnancy back pain. On the contrary there is more to pregnancy back pain than mere mechanical pressure considering that the growing baby and the uterus also exert pressure on the nerves and blood vessels which in turn affect the pelvic region. Experts are of the opinion that a specific hormone secreted during pregnancy can lead to lax or loose ligaments in the pelvic region so as to facilitate childbirth. This hormone is better known as Relaxing and continues to be one of the important triggers for pelvic pain pregnancy induced per se. Pregnancy back and pelvis pain? Pregnancy can alter the shape and movement of your back. The lumbar region of the spine (lower back) may flatten slightly, or it may arch further, if you had an arched lower back before pregnancy. Your back muscles, pelvic floor and stomach are designed to support and move the joints of your back and pelvis. But as your uterus (womb) grows, it can become harder for them to do their job, and this can cause irritation and pain. The flattening of your back, and the hormonal changes that happen in pregnancy, can cause the joints of your back and pelvis to move more. Your baby protects your back, acting as an internal support, but this also makes you less flexible. Your back will feel stiff and leaning forward and twisting from the waist will be harder to do as your baby grows. Your pelvis moves more and isn’t protected in the same way. The pregnancy hormones oestrogen and relaxin affect the pelvis and these make the tough, pliable tissues that connect your bones (ligaments) more stretchy. This makes pelvic pain quite common during pregnancy, even more common than back pain. HOW DO I PROTECT MY BACK AND PELVIS IN PREGNANCY? Make sure that your back is well supported when you’re sitting down. 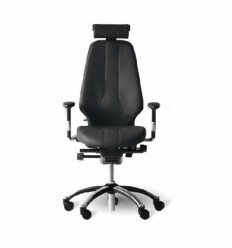 You must ensure that the chair you use has sufficient lumbar support to take encourage the curve in your lower spine and take the weight of the back. Ensure you are Ideally, your back should be slightly arched, with your breasts pointing straight ahead, rather than down towards your bump. Part your legs slightly, to allow for your bump. Using a kneeling chair encourages good posture by rotating the pelvis and returning the spine to its neutral position . Sitting upright in a dining chair will help your back more than lounging in a soft chair or sofa. 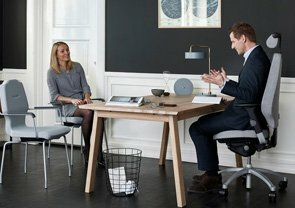 If you have to sit for long periods at work, try to get up and walk around every 20 minutes. Stand as if someone is attached a string to the top of your head and is making you taller by pulling it upwards. Tighten your pelvic floor muscles, and your stomach muscles will help to support your back. Pelvic tilting eases back strain caused by standing or more likely sitting for long periods. When sitting, move your pelvis slowly back and forth rhythmically, without moving your shoulders, this will help return the arch to your back. If you have pelvic pain, focus on the forward tilt, where you stick your chest and bottom out. Due to pregnancy often causing a flattening of the lumbar spine (lower back) this is why so many pregnant women develop pelvic pain. Try to bend backwards regularly, particularly when you sit or bending forward for a long time. If possible do no lifting at all, especially nothing heavy, if you must make sure to hold what you’re carrying close to your body. Bend your knees, not your back, and try not to twist. If you already have children, you have to resist the urge to pick them up if climbing on to a chair or sofa. If you have older children teach them to climb into their high chairs or car seats themselves. When shopping, use a back pack, this will distribute the weight evenly. If you have to carry shopping bags, carry a bag in each hand. The even weight distribution will spread the weight across the muscles and reduces back strain. Don’t overdo it, but keeping fit and supple through gentle exercise is good for you, and can help to prevent back and pelvic pain. When exercising while pregnant when it hurts, never push through the pain, as it could cause injury. Good exercises while pregnant include swimming, cycling on an exercise bike walking, pilates or yoga. 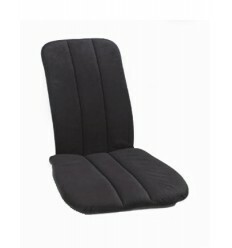 WHAT IS THE BEST CHAIRS FOR PREGNANT WOMEN? The solutions for pregnancy back pain may range from pregnancy seating strategies to even provision of specific chairs for pregnant women. Slouching during pregnancy is one of the most common causes of pregnancy back pain is best prevented by using some very specific chairs. Pregnancy seating is scientific as well as art and needs to be approached with caution. Although sitting jobs are safer then manual work or even carrying trays in a café, this is not always true when the job entails prolonged sitting. Some of the cautions that one would need to exercise during sitting when pregnant may well include ensuring that the back is kept straight at all time and the shoulders are drawn back. 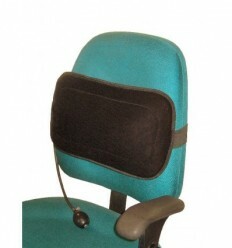 Concurrently the lower back should rest securely in contact with the lumbar support. 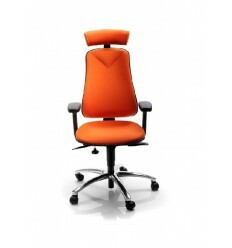 When the chair is a swivel chair it is critical that you turn your entire body rather than twisting at the waist. One of the more common mistakes is sitting cross – leg and this is not surprising that when one sits in this position it exerts unnecessary pressure on the lower pelvis and could be dangerous for the growing baby and may even result in pregnancy back pain or even pelvic pain. 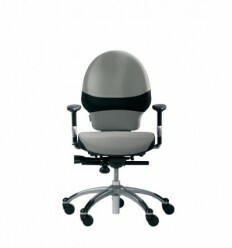 When it comes to chairs for pregnant women they need to be adjustable and most importantly should have a lumbar support. This would help ease the pressure on the pelvic region and the lower back thus minimizing the probability of contracting pains in pregnancy. 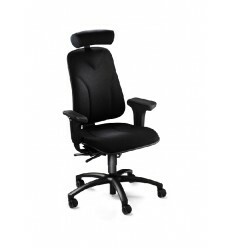 Extend M: The Extend M is designed to offer support and a number of different safe working positions that maintain good posture for users. The level of adjustability is much greater than most chair which enables it to adapt to the changing shape of the pregnant body. Variable Balans Kneelers – Midwife and researcher Jean Sutton recommends using a special kneeler-rocker chair for the last few weeks of pregnancy, specifically the Variable balans, especially if your baby is persistently posterior. The Variable balans rotates your hips helping you to sit in neutral upright posture with knees lower than your chest. 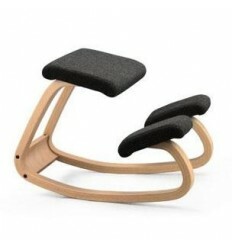 The neutral posture combined with the rocking movement encourages the baby to rotate.